The annual Erie Canalway Photo Contest captures the beauty and character of the Erie Canalway National Heritage Corridor. Winning images offer a snapshot of what makes this 500-mile ribbon of waterway connecting the Atlantic Ocean to the Great Lakes a national treasure. Each year, winning images are displayed in our web gallery and in the Erie Canalway Calendar. Pick up a copy of the FREE 2019 calendar starting DECEMBER 1 at libraries and visitor centers throughout the Corridor. Calendars available first come, first served, thanks to generous sponsorship by the NYS Canal Corporation. Take a Shot at our 2019 Contest! Entering is a snap: download and fill out an entry form and mail up to three entries to us. Entries are judged on the basis of creativity, photographic quality, and effectiveness in conveying the beauty and unique character of the Canalway. Judges select first, second, and third place winning images in each contest category, as well as 12 honorable mentions. Winning images are featured in our annual calendar. Note: because winners will be published in the 2020 calendar, images must be horizontal format. Along the Trail Cyclists, walkers, strollers, and activities or scenes along the Erie Canalway Trail. Canal Communities Historic downtowns, distinctive architecture, farmers markets, events, and scenes taken in canal communities. Classic Canal When you see it, you know it—photos that could be taken only here; photos of on-water activities, engineering marvels, canal structures, nature, or other scenes that show the distinctive sense of place of the Erie Canalway. 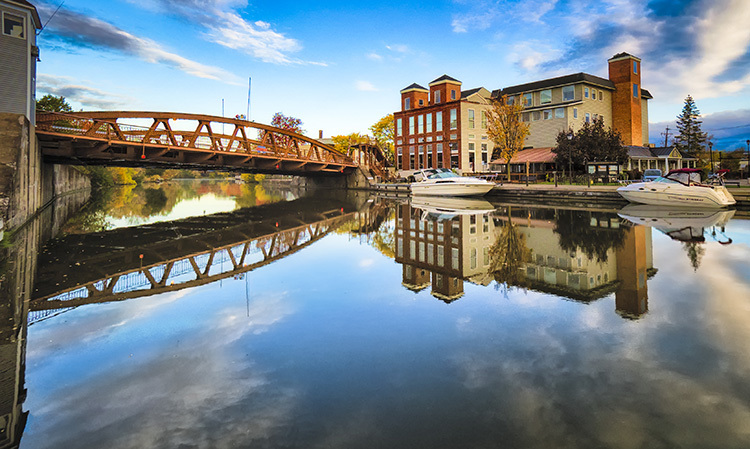 Eligibility – The contest is open to any amateur or professional photographer except employees, Board Directors or Commissioners of the Erie Canalway National Heritage Corridor and members of their immediate families. Deadline – All entries must be postmarked no later than August 31, 2018. Entry Forms – Entries must be accompanied by a completed and signed Entry Form. Multiple Entries – A maximum of three (3) entries per photographer is allowed. All entries must be listed on a single Entry Form. Categories – Entrants must place their photos in one of the four categories listed below. The judges reserve the right to recategorize any entry. Enhancing your Images- While you may crop or perform color correction on your images, the judging team discourages over-amplifying the color. We are looking for images that reflect the scene as it appeared in reality. You may use HDR camera settings, but again, please avoid over enhancing the image. Format – All entries must include prints in color or black and white. Entries may include digital images on disc in addition to prints. The prints will be used for judging. Photographic submissions that do not follow these requirements may be rejected. Print Entries: Prints must be 4 x 6 inches or 5 x 7 inches on photographic paper.Do not send matted, mounted or framed prints.Do not send negatives. Digital Entries: Submit digital images on one compact disc, accompanied by a 4 x 6 or 5 x 7 inch print on photographic paper. Digital images are needed to obtain the quality we need in the Erie Canalway Calendar and possibly other printed communications. Images must be a minimum resolution of 300 DPI (dots per inch) and no smaller than 3072 x 2304 pixels (or 10.24 x 7.68 inches). Images should be in RGB color format and be submitted as JPG (at high quality) or TIFF files. Do not resample small files to fit requirements, as it will compromise the quality of the image. Images must be in landscape (horizontal) orientation to fit the format of our calendar. Entry Identification – Each photograph must be adequately identified. Print Entries: The photographer’s name and photograph title must be printed on a sticky note attached to the back of each print. Do not write directly on the print (front or back). Digital Entries: The photographer’s name and “Erie Canalway 2018 Photo Contest” should be written directly on the compact disc.T he file name of each image on the disc must match its entry number (i.e. “Entry1.jpg” or “Entry2.tif”, etc.). Discs must contain only photographs submitted for the contest. Model Release – Photos containing recognizable people must be accompanied by a model release form (attached or available at www.eriecanalway.org) signed by the subject or a parent or legal guardian, if subject is under 18 years of age. Judging – Entries will be judged on the basis of creativity, photographic quality, and effectiveness in conveying the beauty and/or unique character of the canalway in one of the contest categories.An Erie Canalway National Heritage Corridor panel will judge the entries and all contest decisions are final.First, second, and third place winners will be selected in each of the four categories identified above.Honorable mentions will be awarded at the discretion of the judges. Winners will be announced no later than October 19, 2018. Winning Photos – The winning photographs with appropriate credit will appear in the Erie Canalway National Heritage Corridor 2019 Calendar and on the Erie Canalway National Heritage Corridor website.Winners will also receive a copy of the calendar and other prizes to be determined. Photographer’s Rights – Each photographer will retain all rights to any photograph submitted – including ownership if applicable – other than those rights licensed in the next sentence.By entering the contest, each photographer hereby grants to the Erie Canalway National Heritage Corridor (i) a nonexclusive, worldwide, irrevocable, royalty-free license to reproduce, distribute, publicly display the photographs submitted to the Erie Canalway National Heritage Corridor, and (ii) the right to use the photographer’s name, city and state of residence in promotions and other publications. Other – Photographs, regardless of medium, will not be returned.Do not send your only copy of a photograph.The Erie Canalway National Heritage Corridor is not responsible for any material lost, damaged, or misdirected in the mail. You may submit a maximum of three (3) entries. All entries must be listed on a single Entry Form. Our judges use PRINTS for judging so your entry must include prints in color or black and white. Entries may include digital images on disc in addition to prints. Photographic submissions that do not follow these requirements may be rejected. Print Entries: Prints must be 4 x 6 inches or 5 x 7 inches on photographic paper. Do not send matted, mounted or framed prints. Do not send negatives. Please print the photographer’s name and photograph title on a sticky note attached to the back of each print. Do not write directly on the print (front or back). Label your disk with the photographer’s name and “Erie Canalway 2018 Photo Contest.” The file name of each image on the disc must match its entry number (i.e. “Entry1.jpg” or “Entry2.tif”, etc.). Discs must contain only photographs submitted for the contest. Model Release – Photos containing recognizable people must be accompanied by a model release form signed by the subject or a parent or legal guardian, if the subject is under 18 years of age. Entries will be judged on the basis of creativity, photographic quality, and effectiveness in conveying the beauty and/or unique character of the Canalway in one of the contest categories. An Erie Canalway National Heritage Corridor panel will judge the entries and all contest decisions are final. First, second, and third place winners will be selected in each of the four categories identified above. Honorable mentions will be awarded at the discretion of the judges. Winners will be announced no later than October 19, 2018. Winning photographs with appropriate credit will appear in the Erie Canalway National Heritage Corridor 2019 Calendar and on the Erie Canalway National Heritage Corridor website. Winners will also receive a copy of the calendar and other prizes to be determined. Each photographer will retain all rights to any photograph submitted – including ownership if applicable – other than those rights licensed in the next sentence. By entering the contest, each photographer hereby grants to the Erie Canalway National Heritage Corridor (i) a nonexclusive, worldwide, irrevocable, royalty-free license to reproduce, distribute, publicly display the photographs submitted to the Erie Canalway National Heritage Corridor, and (ii) the right to use the photographer’s name, city and state of residence in promotions and other publications. Photographs, regardless of medium, will not be returned. Do not send your only copy of a photograph. The Erie Canalway National Heritage Corridor is not responsible for any material lost, damaged, or misdirected in the mail. Check out our gallery of winning photos. Look for scenes that say "Erie Canalway" and views that could be taken only here. Consider new vantage points for familiar scenes. Include activity! People on the trail, boats in the water, strollers in town help to enliven the scene. Follow us on Facebook and Instagram @eriecanalway to see more photos and join the conversation.